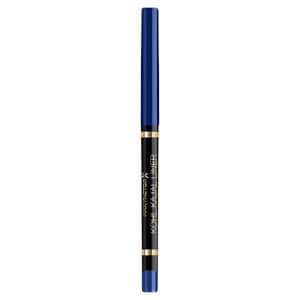 Create eye-catching makeup looks with the Scandaleyes Waterproof Coloured Brow and Liner from Rimmel. 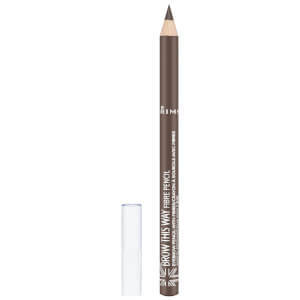 Arriving in a vibrant range of shades, the 2-in-1 eye pencil can be used on brows or as an eyeliner for instantly popping colour. Offering a creamy, richly-pigmented formula and 24 hours of wear, the beauty tool can be used to brighten up a daytime look or to create striking, party-ready eyes at night. The results are bold, vivid and ultra-intense. Waterproof, smudge-resistant and zero flaking. Isododecane, Trimethylsiloxysilicate, Dimethicone, Synthetic Wax, Polyethylene, Polybutene, Synthetic Fluorphlogopite, Silica, Caprylic/Capric Triglyceride, Polyglyceryl-4 Diisostearate/ Polyhydroxystearate/ Sebacate, Polyethylene Terephthalate, Calcium Aluminum Borosilicate, Talc, Stearalkonium Hectorite, Propylene Carbonate, Tin Oxide, Polyurethane-11, [May Contain/Peut Contenir/+/-:Iron Oxides (Ci 77491, Ci 77492, Ci 77499), Titanium Dioxide (Ci 77891), Manganese Violet (Ci 77742), Mica, Carmine (Ci 75470), Ferric Ammonium Ferrocyanide (Ci 77510), Ultramarines (Ci 77007), Ferric Ferrocyanide (Ci 77510), Aluminum Powder (Ci 77000), Fd&C Yellow No. 5 Aluminum Lake (Ci 19140), Fd&C Blue No. 1 Aluminum Lake (Ci 42090), Chromium Oxide Greens (Ci 77288)].